SO YOU WANT TO BREED DOGS! ALL PAYMENTS AND HOLDS ARE NON REFUNDABLE. with more vaccinations and or vet visits. So the expense is on us. We list our Litters by Mother's name and date of birth. To the LEFT under PUPPIES FOR SALE. Page at a later date. Imperials are always more money. We hope you take the time to share our home page below. We are inspected by AKC. Proud to say we always pass. THE SMALLEST MALE IN USA, ! Buster he is Daddy's little man! As most of you know our Isabeau our Spoiled brat child! She when she turned 12 -with age she went blind. sweet baby - She died in the spring of 2014. Quietly in her sleep. 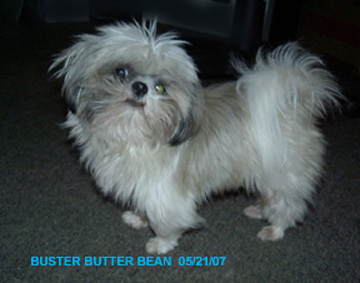 Our Buster Butter Bean died on Labor Day 2015 at the age of 9.5 years just suddenly no pain. It doesn't hurt less, our hearts ache, we know these little ones were terribly spoiled and enjoyed. Had a great life. But now we have a couple new little ones to help us with the big holes in our hearts. ISABEAU with a luna moth in her hair. She really would let me do anything with her what a gem! She finally made a 3.5LBS at 1.5 years of age! Please check out our Foster Boxer Pup Pooh Bear's site. Click here. 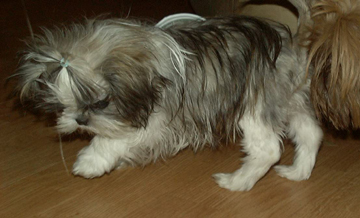 We have been breeding shih tzu for a very long time now. As most of you know.... April/May is our spring puppy time and Sept/Oct. is our fall puppy time. Watch the Best Buy and Small/Imperial pages for pups that are currently on sale. 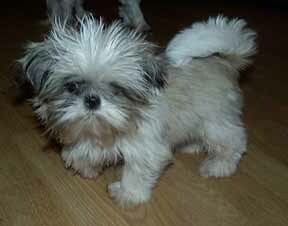 We have several litters of fine, beautiful looking -great tempered shih tzu to choose from. But ..... they will not last long. We are fortunate to be getting many calls per day. So do not hesitate. Do not think just because there are several that there is time. This puppy time goes fast and this is the perfect time of year to be bringing home the new love of your life!!! SOME OF OUR SPOILED BABIES! We here at Shawnee Valley Shih Tzu greet you. We hope you enjoy looking at our "babies." We call all our dogs, big and little our babies. 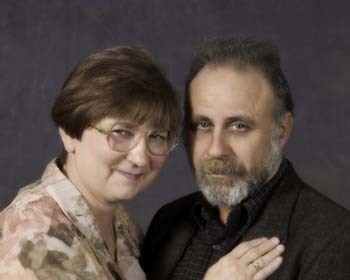 My husband, John and I had our share of raising children. We both came from large families. He is the eldest of six and I am the eldest of eight living children. We together had six, one daughter and five sons and then the county gave us two foster sons. That is why we have a 14 room home. 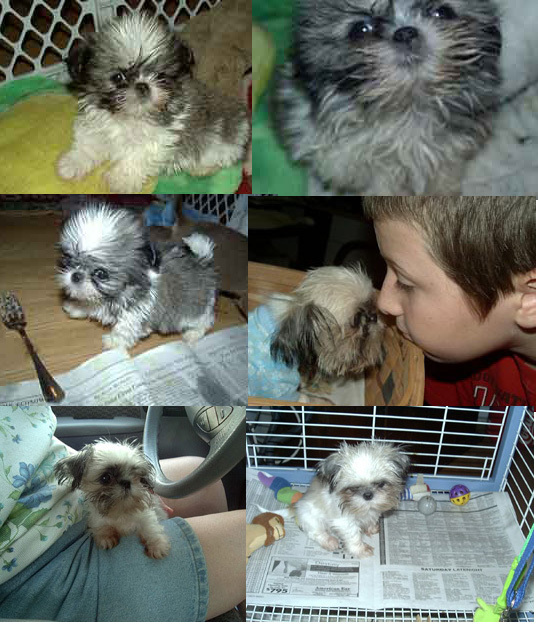 We now have them all grown and gone and have filled the home with shih tzu babies. All sizes and colors. often than most shih tzu breeders. We do not appologize for this they are a wonderful little creature. We never breed our Imperial females. Adult weight is never guaranteed! We can tell you what we think the puppy will weigh by what the parents have produced previously (if proven). There are other factors that also come in to play, like IF you are feeding table scraps, etc. 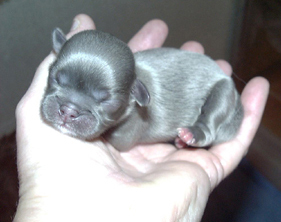 But when we tell you that a pup will probably weigh around 6-7 lbs full grown, that is an approximate weight. We are usually very close in our estimated weights. Most of our shih tzu run 10 lbs. or under full grown. 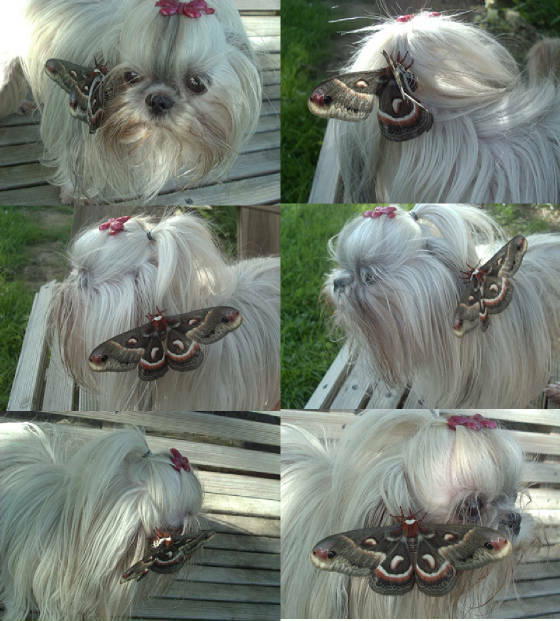 We do have a very fine quality of shih tzu. Unfortunately, I am disabled, since 1996, I am not able to show any of our dogs. But that is not the really important thing to us. We look for health and temperment first. Then comes all the rest. We are proud to say that we have puppies in Oklahoma, Missouri, Kentucky, Virginia, Pennsylvania, Louisiana and Indiana and of course our fine state has lots of our little ones. And we didn't ship! People have been coming to us after seeing one of our little ones somewhere or talking to some of our previous clients. This makes us feel very proud. We have started to ship our puppies!!! We guarantee our pups for 1 year against any congenital defects. 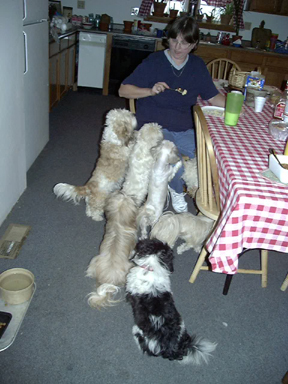 In over 18 years of raising and breeding shih tzu we have only replaced two puppies. We take great pride in having healthy stock and puppies. We can give recommendations, both from our vets and previous customers. 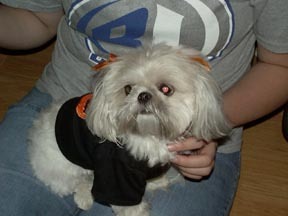 You receive a puppy pack and handouts on Shih Tzu puppy care. You also receive a sample pack of the food that we are currently feeding the puppy to take home with you. And we offer 24 hour advice for new puppy owners. Check out our puppies, expecting mothers, and ask us about the retirement plan on our older dogs. Thanks for visiting with us. 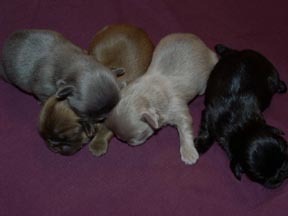 Prices on our standard puppies are always less than on the special tinies -depending on color - and registrations. Smalls & Imperials are ALWAYS MORE. We do not sell Imperials to households with children under 10 years of age. Sorry. The smaller the puppy- the more it will cost. People often ask me about this, but if you have ever known someone with a premature child, didn't they cost more? The little ones take more care. They are more delicate. Some colors are harder to breed for also, all black -true black is almost as hard to get as an all white. Blues are also rare - They may start out blue but then turn a totally different color and they may not have blue eyes either. (Read - Victor Joris - The Complete Shih Tzu excellent book.) Anyway, that is why some colors are more expensive than others. We currently belong to three purebred clubs. Some clubs are easier to work with than others. Some do charge minimal fees for registering the litters and other services. As with any business this is passed on to the customer. Some clubs register the litters for free and have many other free services. We belong to several clubs to offer our customers a choice. Many people never register their animals. We recommend that you register your new puppy. There are several reasons and we explain them at the time of your purchase. We know how to breed for color here. ready to go to the Rodeo. at 3# 10 oz. She is Isabeau's neice. Buster is Martina's half brother. 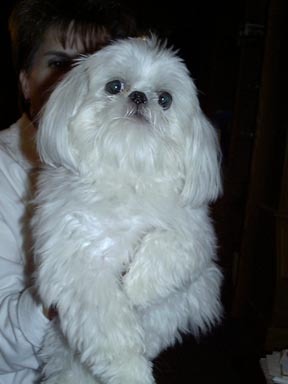 produced here at Shawnee Valley Shih Tzu. shoulder at 3 years of age. AKC registered. I think she is the smallest female in the USA. Buster at 1 year was 2# 15 oz. 6 inches long. Buster is now just at 3#. 6 inches at the whithers. Our big boy! And NO he is not for sale! This is a true blue born male. babies in our big old kitchen. We still do this - routine hasn't changed much! They aren't spoiled much are they? clothing at BUILD A BEAR.